Saudi Aramco has revealed that the global oil giant is the world's most profitable company, recording a net income of $111 billion last year. The company's net income surged nearly 50 per cent last year as global oil prices rose, according to a bond prospectus issued to investors. This is the first time Aramco has divulged its finances. Aramco plans to issue a $10 billion bond sale to help fund the acquisition of a 70 per cent stake in Saudi Basic Industries Corporation (Sabic), announced last week. 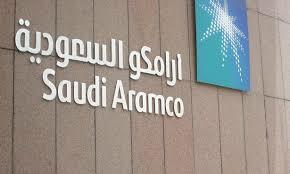 Aramco will buy the stake from Saudi Arabia' Public Investment Fund for $69.1 billion. Aramco had revenue of $355.9 billion, according to a Moody's note, and $48.8 billion of cash on the books at the end of last year. That's far more than its debt of $27 billion. It was helped by a 31% increase average oil prices in 2018 compared to 2017. By comparison, Apple, the world's most profitable public company, made $59.4 billion in 2018, just over half as much as Aramco. ExxonMobil, the largest US oil company, made $20.8 billion, while Royal Dutch Shell, the largest publicly traded oil company, made $23.4 billion. Moody's has assigned a first-time A1 long-term issuer rating to Aramco and a provisional (P) A1 rating to Aramco's Global Medium Term Note (GMTN) programme. The outlook is stable. "Saudi Aramco has many characteristics of an Aaa-rated corporate, with minimal debt relative to cash flows, large scale of production, market leadership and access in Saudi Arabia to one of the world's largest hydrocarbon reserves. These features position it favourably against the strongest oil and gas companies that Moody's rates," said Rehan Akbar, a vice president-senior credit officer at Moody's. "The final rating is however constrained by the government of Saudi Arabia's A1 rating because of the close interlinkages between the sovereign and the company". In 2018, the company produced 10.3 million bbl/day of crude oil (including blended condensate) relative to its maximum sustainable capacity of 12 million bbl/day. Considerations on crude production volumes include supply cut commitments by the government of Saudi Arabia, it said. The proposed acquisition of a 70% equity interest in Sabic is an extension of Saudi Aramco's strategy to expand its footprint in chemicals. This acquisition will strengthen the company's business profile given that downstream assets typically provide countercyclical cash flow benefits. Saudi Aramco's substantial cash flow generation capacity and financial flexibility will enable the company to fund the Sabic acquisition without the need to materially leverage-up its balance sheet even under weak oil price scenarios, it said. Aramco has an extremely strong liquidity position. As of year-end 2018, the company had $48.8 billion of cash relative to $27 billion of reported group debt. Of the $46.8 billion of group bank facilities, about $25.5 billion remains available and includes $12.7 billion of undrawn revolving credit facilities. In 2018 when the average Brent price was $71/bbl, the company reported cash flow from operations (net of taxes and royalties) of $121 billion, undertook $35.1 billion in capital spending and paid $58.2 billion in dividends.